In September 2017, I was invited to Seychelles for a week to create drone shots for the Tourism Board. In this article, I would like to show you which route we followed and what personal highlights were for me. My journey to Seychelles began in Frankfurt. For seven days I was invited to the island paradise. At the airport, I met a group of journalists whom I was to accompany the next week. Of course, one week is not much time for Seychelles. Nevertheless, I would like to present here the course of my Seychelles trip to give you some inspiration. 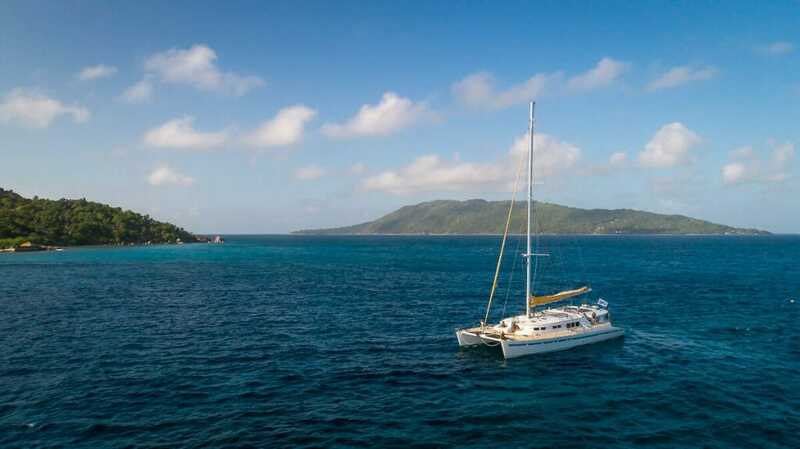 At the end of the post, you will find a recommended route for your own Seychelles adventure. On the first day right after we arrived, we drove to the Savoy Hotel. This resort is located right on Beau Vallon, Mahe’s most famous beach. Here I had time to rest after the long flight. Afterward, I explored the beautiful beach. On Sunday afternoon, many locals came here to do sports. Of course, I allowed myself the first bath in the wonderfully warm Indian Ocean. Although the Beau Vallon is Seychelles’ busiest beach, there was surprisingly little going on here. So even on this famous beach, you have enough space for you to relax. Extra tip: If you manage to be on a Wednesday at Beau Vallon, then you can stroll through an evening market here. There is cheap food, music and you have the chance to talk to locals. The second day started with a visit to the capital Victoria. Victoria is pretty small, so you do not have to spend too much time on it. We passed the Hindu temple, visited the colorful market and visited the Cathedral of the Immaculate Conception. We ran through the streets and were finally driven to Eden Island. Eden Island is a vast artificial peninsula on which foreigners can buy houses. From here we started our voyage of discovery of the other islands at lunchtime. We boarded the catamaran Le Gauguin from VPM Sailing, where we spent the next few nights. We went to sea. For me, it was the first time on a sailboat, and I was very impressed when the crew hoisted the sails. It is fascinating and a feeling of absolute freedom when the wind blows you over the sea. In the early evening, we anchored in front of the dream beach Anse Lazio. We arrived in paradise! I jumped into the water and swam to the shore. No soul was on the beach at that time. The sun had just set, and lush green edged the beautiful sandy beach. Unfortunately, I had to get back to the boat quickly before it got dark. The next morning, after filming a sunrise time lapse with my DJI Phantom 4 drone, I went back to the beach. After walking through a few palm trees, I discovered some stunning rock formations on the right side of the beach (seen from the sea). An incredibly beautiful place and now my absolute favorite beach on this earth. 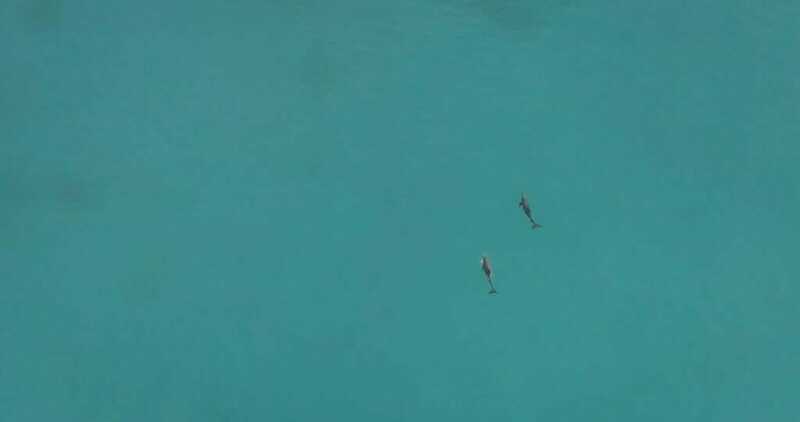 Visit for breakfast – two dolphins swam past our catamaran. The rest of the day was pretty packed. We drove to the island of Curieuse to visit the giant tortoises. They run free along the beach and let themselves be fed by the tourists. Next, there was a snorkel stop on the island of St. Pierre. We both love to snorkel for hours and watch new sea creatures. Unfortunately, I was scared that there are only dead corals underwater. The small island of St. Pierre is a popular destination for snorkeling. In the afternoon we reached Seychelles’ fourth largest island: La Digue. This island is primarily known for its beautiful beaches. We looked at the Grand Anse and the Anse Source d’Argent. It is typical of La Digue that you ride a bike here. Try it out! Unfortunately, we had to leave La Digue after half a day. For your round trip, I would definitely recommend you to spend at least one or two nights on La Digue, because there are indeed many more things to do. Therefore, you should treat yourself to more time on the island. 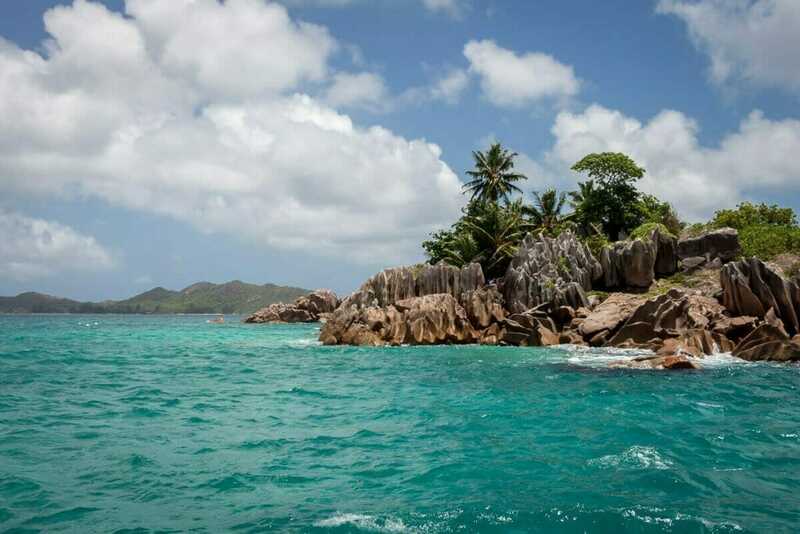 On the fourth day, we drove from La Digue to the islands of Coco, Felicite, Grand Soeur and Petit Soeur; all beautiful islands from the boat. We had the chance to snorkel again. I discovered a ray and a small shark swam in front of my lens. I did not notice that at the moment. Bina first saw it while watching the footage for our Seychelles video. Annoying because I have been looking forward to meeting a shark for a long time. 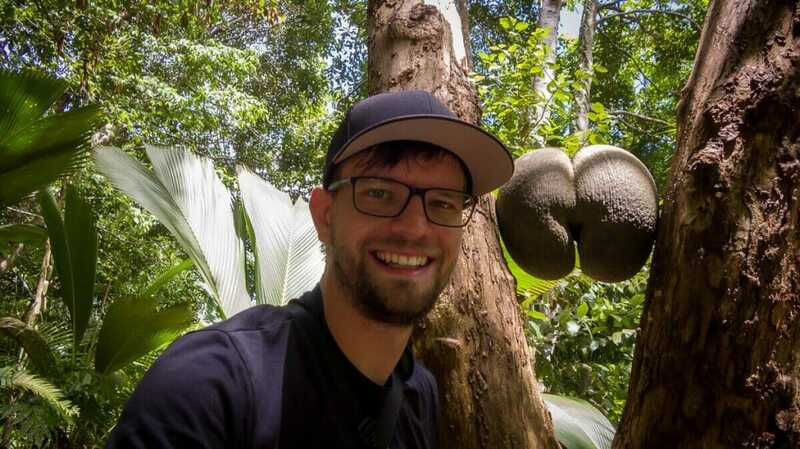 In the late morning, we landed at the port of Praslin and drove to the nature reserve Vallee De Mai, to admire the gigantic Coco de Mer. After a beautiful hike through the jungle, we went back to my favorite beach Anse Lazio. There was lunch in Sweet Plume. I highly recommend the smoked job fish in this restaurant. The afternoon sounded to me on the beach Côte d’Or. I was lucky enough to see a group of very talented Slagliners. It really took my breath away. On the fifth day, I did some scenes with the catamaran for which there was no time on the days before. You can use this day to explore Praslin or relax on Côte d’Or beach. In the afternoon I took the fast ferry Cat Coco back to Mahe. Somewhat unprepared it flooded my Osmo on the top viewing deck. If you do not want to get wet, you should stay on the lower floors. After breakfast, we drove that day to the Takamaka rum distillery, where we could watch how the cane is squeezed. My namesake Francis, head of the distillery, led us through the distillery and explained to us the individual steps in the process of firing. Of course, a tasting was not missing. 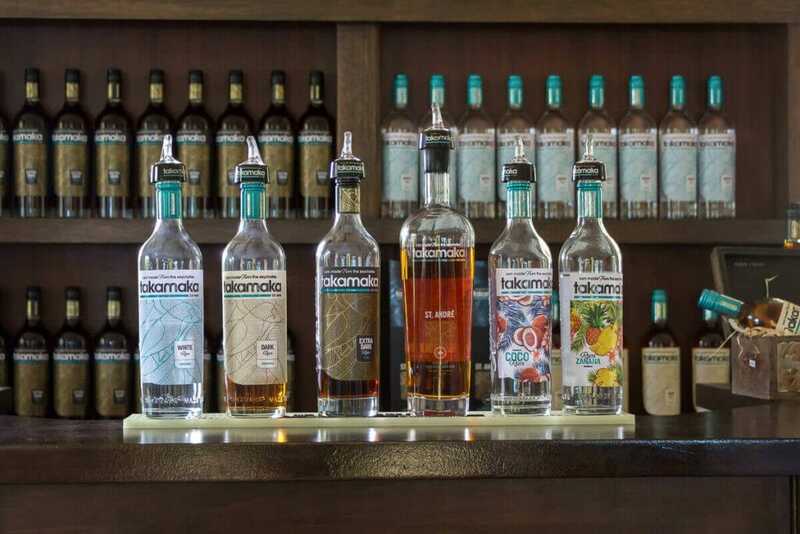 The Takamaka distillery was built on the listed property and radiates an exceptional charm. A stop is definitely worth it! In the back of the garden, there are also some giant turtles to admire. Afterward, we went to the Jardin du Roi. In the garden of the king, the French began in 1772 with the spice cultivation. Today you will find a beautiful collection of tropical plants here. After a delicious lunch in the famous restaurant Chez Batista, we drove a bit north of Mahe. On the way, there were many beautiful beaches, but the rain has spoiled the afternoon a bit. But it was dry again in the evening when one of the cultural highlights of Seychelles took place at Beau Vallon: The regatta with a night market, various competitions (boxing, football, volleyball, etc.) and a large open-air party. On my last day, I used the time to walk over the regatta’s grounds and swim one last time in the Indian Ocean. My time in Seychelles was concise but still incredibly eventful. At first, I did not really know what Seychelles has to offer except sand and sea. However, I was able to experience that the islands are very diverse and that a trip here is definitely worthwhile. If you want to spend your vacation here, then I would suggest the following route (based on my trip). The route is just a rough grid on which you can orientate yourself for your planning. There is still enough time to make spontaneous trips or to react to the weather. You should tailor the program according to the location of your accommodations and preferences. 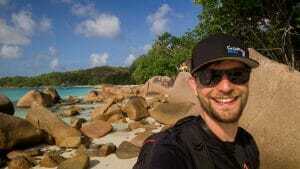 I hope this article has given you a good overview of what Seychelles has to offer. If you have any questions or want to get rid of your own tips, then write us in the comments! Thanks again to the Seychelles Tourism Board for the invitation and the unforgettable time! Hi Francis, love the blog, very informative. Do you have any detailed information on using a drone for recreational use in the Seychelles, who to get permission from etc. i notice on Mahe you cannot with out permission. Is it the case that you can fly for recreational use but still need permission for Mahe? What about the other islands, and recreational use is that ok? Thank you for sharing your experience. The Seychelles look lovely.